We want to make sure our children are living the happiest, healthiest life they can. However, with all the pressures of modern life, it’s hard to know how to help your children have a healthier lifestyle. We don’t always have time to eat right and exercise ourselves with our densely packed schedules and unfortunately, that means that neither do our children. 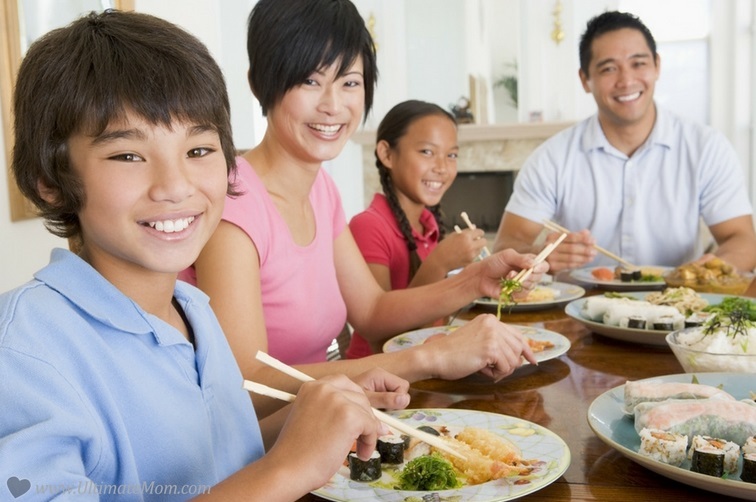 With the New Year fast approaching, now is a great time to start thinking about ways we incorporate some healthy changes to our family’s lifestyle. To get you started here are six tips on how to encourage your children to adopt healthy habits. Only one in three children get any physical activity in during the day. Fortunately, there’s tons of ways you can help get your children to be more active. One of the easiest ways is to enroll them in a sports program with their school or a local community center. 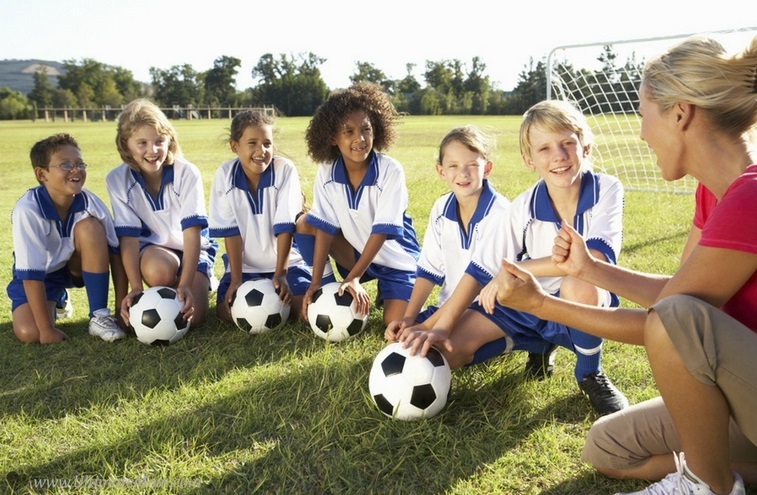 Talk to your children about what sports interest them and find a program that works for both of your schedules so they can get some exercise out on the field. You can also incorporate exercise-based family activities into your daily routine. For example you and your family can take a regular walk after dinner everyday or you can start riding bikes together a couple of times a week. There are also plenty of opportunities for goal-oriented physical activities. Maybe your whole family can train for a charity run or team up and build a vegetable garden together. Exercise is a great way to spend some quality time together as well as helping your kids stay fit. Between televisions, computers, tablets, and smartphones, the average child now spends 7 ½ hours a day in front of a screen. Though a lot of screen time can be educational, the amount of time children are spending in front of screens is causing some serious health problems. Consider limiting your children’s screen time. There are some great ways to do this, they are even apps that you can automatically set up so the device shuts down when your child reaches their maximum amount of screen time. Reducing screen time can help motivate your children to get more physically active to entertain themselves, rather than just watching television or playing a game. More than half of all children are not drinking enough water everyday. Dehydration is a serious issue because it impacts the health and well being of your child. Not drinking enough water can also lead to inactivity and mood swings. The best way to get your children to drink more water is to purge your fridge of alternatives. Get rid of soft drinks like sodas and juices, so when your child is thirsty, they’ll have to drink water. You can also buy your children an adorable water bottle that they can keep with them for whenever they get thirsty. We love this CamelBak children’s water bottle with funky kitties and this pirate-themed Laken Thermo Jannu thermos with it’s easy to carry neck strap. Having their own thermos will help children stay hydrated throughout the day. It’s easy to make sure your children are eating healthy at home, but you also need to make sure they are eating healthy at school. Unfortunately, school lunches are not always healthy. They are vitamin-deficient, loaded with bad ingredients, and are a contributing factor to childhood obesity. If your child eats school lunches, talk to the PTA and your local school board about changing the school lunch program to provide healthier options. Many communities have been really successful at helping their schools implement healthier lunch programs. Until you’re sure your children are eating healthy school lunches, you might want to consider packing their lunch. There are tons of great recipes for healthy school lunches that will take you no time at all to make! The statistics on childhood nutritional deficiencies are shocking. Even though children consume more calories than ever, nearly every child is not getting a full range of essential nutrients. 98% of children experience a vitamin A deficiency alone. Given these statistics, it is essential that you make sure that your children are eating a healthy diet. You can start simply by just incorporating a few healthy recipes loaded with fresh fruits and vegetables to see what your children like. Then you can start making healthier meals that you know they will eat. You can also introduce a children’s vitamin into their diet. Though it is better to get nutrients from your food than from vitamins, it will ensure that your children are getting the full profile of vitamins and minerals they need to stay healthy. Parents are not doing so great when it comes to living a healthy lifestyle either. 36% of adults are obese and have a range of preventable illnesses. So it’s not just children that need to live a healthier lifestyle, it’s all of us. Children learn from their parents. If you have unhealthy habits like eating junk food and not exercising, your children will model their behavior after you. It’s important that the whole family gets involved in developing a healthy lifestyle. If you work as a team, you’ll get a lot more accomplished. When you decide to improve your habits, get your children involved. Let them help you in the kitchen and come up with healthy meal ideas. Let your children pick some fun physical activities you can all do together. Take on the challenge as a family and you will all live happier, healthier lives. Helping your children live a healthier happier life seems like a bit of a task. However, if you take it a step at a time and work together as a family, you can all make some really healthy changes for the better. For more tips on how to get active with your kids and some great healthy recipe ideas, check out our blog at Ultimate Mom. We have tons of ideas for you and your family!